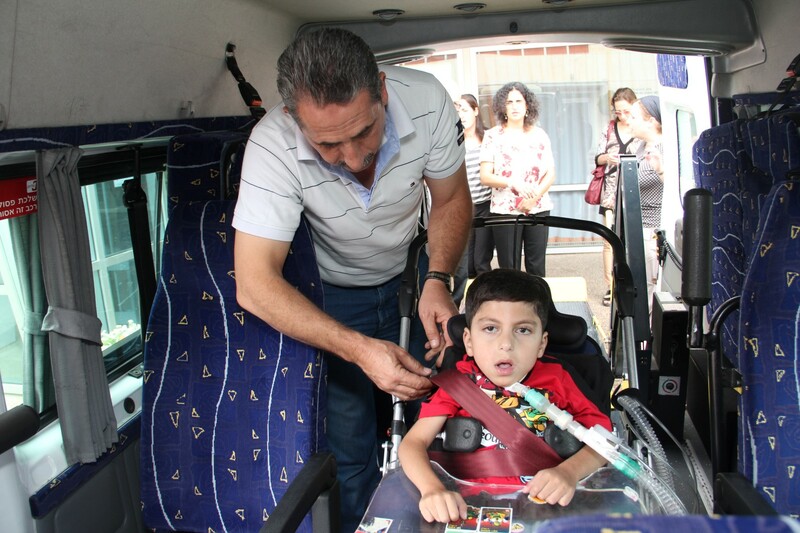 The Mishcon Family Center for the Safe Transportation of Children with Special Needs was established in 1999 atALYN with the aim of distributing information about safe seating for children with special needs to families and professionals involved in accompanying or driving them. Within the framework of the Center's activities personalized assessments are made, and advice concerning the correct installation of car seats for children with special needs is offered to parents and professionals. The Center focuses on instruction relating to the safe tie down of wheelchairs within a vehicle. The Center organizes lectures, seminars and courses relating to the correct installation of car seats for children with special needs, for the staff of various institutions, and for workers involved in transporting children with special needs. The Center staff is also involved in working to promote the rights of children with special needs to travel safely with their parents and in organized transport. In cooperation with government departments and local authorities, the Center staff is working to influence government policymaking in this field by suggesting changes in the law, fixing standards etc. The Center provides an option for the short-term loan of a car seat to parents of a child who is temporarily disabled (for example, following orthopedic surgery). The Mishcon Family Center was established by Taube Korn z"l, one of ALYN's veteran occupational therapists who worked tirelessly to promote safe transportation for children with special needs. Taube brought her knowledge and professionalism from the USA. sShe trained many occupational therapists around the country. In addition, she instructed countless parents and caregivers of special needs children as to the important elements of safe seating, thereby enabling thousands of special needs children nationwide to benefit from her expertise and knowledge. Taube received nation-wide recognition and a number of awards for her work. On Jerusalem Day 2010, following a serious illness, Taube sadly passed away. Even during her illness she continued working to promote the Center. To honor Taube's memory, and in recognition of her devotion to the Center -- its work and its goals -- we have named the Center after her.